A drill is an essential power tool that every homeowner should have. If your kit is missing this piece of equipment, make sure you fill the gap with a high-quality compact drill. The Ryobi 18V ONE+ Compact Drill Driver provides users with a versatile and practical tool that can be used for a number of applications. Your drill driver will likely get lots of use, so it is important to consider quality when choosing yours. 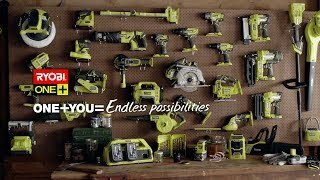 By opting for a reliable brand like Ryobi, you are buying a tool that has the backing of years of research and industry experience. To pick up your new 18V ONE+ Compact Drill Driver or to purchase other quality tools and hardware from the experts at Ryobi, head down to your nearest Bunnings store.